The witches of the Far Lands of Minecraft are missing . . . all of them! When a young village girl is badly injured, and only a witch can help her, Watcher and his friends quickly discover there are spiders involved. They must follow clues leading them through jungles and forests, all the way to the doorstep of the dreaded outcast spiders, the Forgotten. 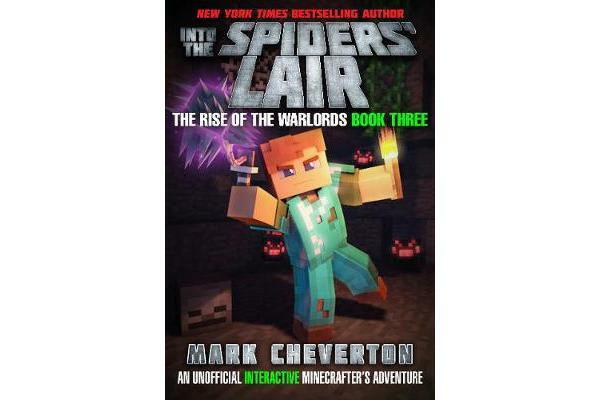 Watcher and his companions must figure out a way to free the witches from their ruthless captors, but can they escape the Lair of the Forgotten in time to save the girl?The Rise of the Warlords series is a Minecraft adventure like never before, giving fans the option to play along in Minecraft as they read on custom Far Lands worlds exclusively designed by bestselling author Mark Cheverton.